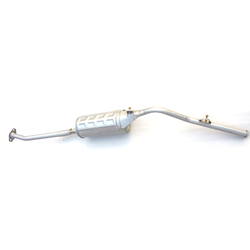 To retain our goodwill in clients' consideration, we are manufacturing and supplying an excellent range of Maruti Car 800 Silencer. This is Maruti Suzuki Van Type-2 Rear Silencer Assembly, With Converter. Usage/Application: Controls the flowing direction of the high pressure exhaust gases. 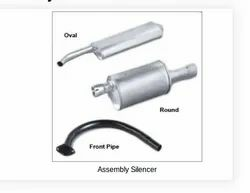 The policy made by our company makes us occupied in manufacturing a quality assured range of Car Silencer. For years we have been delivering the best range of Indigo Automobile Silencer to our customers. These items are fabricated using cutting-edge technology and superior grade raw component. So as to match the global quality values, these items are rigorously verified by our quality controller prior to its final shipping.